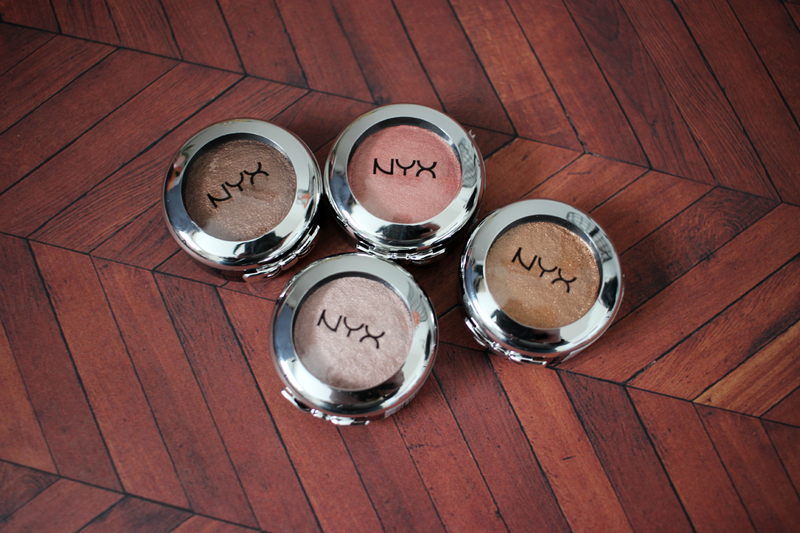 Hi loves, today I have a new post on some of the new NYX Prismatic Eye Shadows. These are part of there new 2015 collection, and I found them at all. 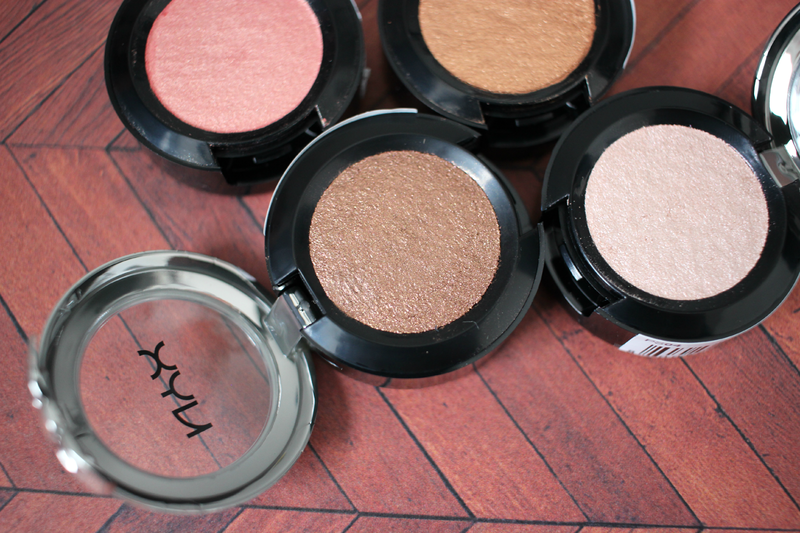 I am in love with a lot of NYX products, so when I found out they were releasing Prismatic shadows, I of course had to pick up a couple. And I hope you don't mind a ton of photos, because I did go a little crazy when I was taking photos! 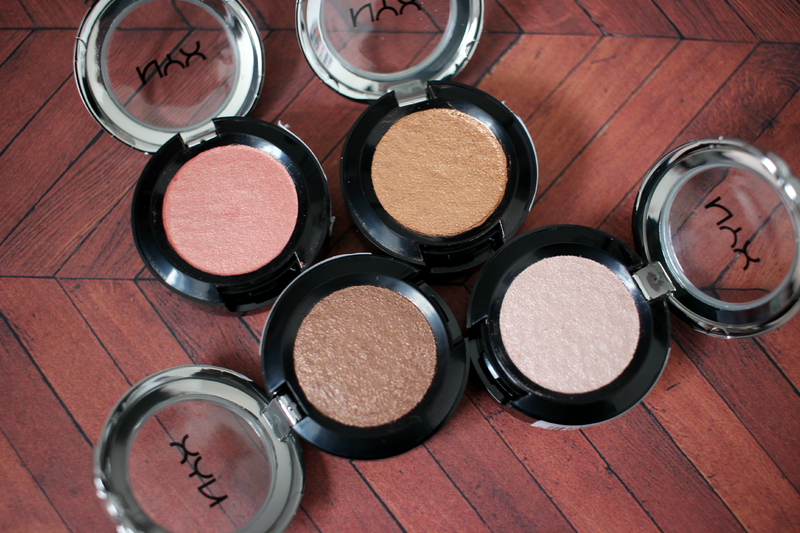 These eyeshadows are filled with amazing pigmentation and they are also metallic. 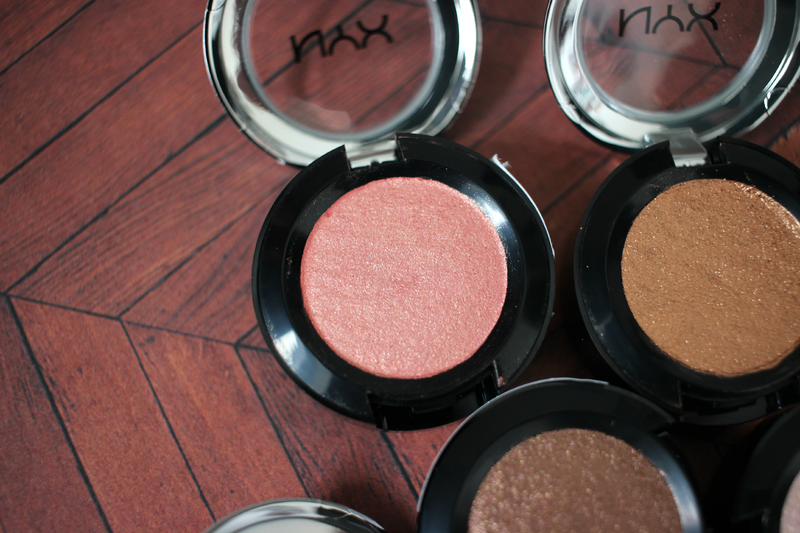 I love the texture and they are so beautiful all over the lid. Girl Talk- is a very beautiful champaign color. I love using this one with a dark smokey eye, and adding this all over the lid. Golden Peach- is a very beautiful salmon color. It has more of a pink gold color, verses a peach. This color is going to be perfect for the Spring and Summer time. I can't wait to do a eye look using this shade. Liquid Gold- just like the name says, its a gold. I knew when I saw the display that this baby was coming home with me. It is one of the prettiest golds that I ever laid my eyes on. Bedroom Eyes- is a beautiful dark brown. 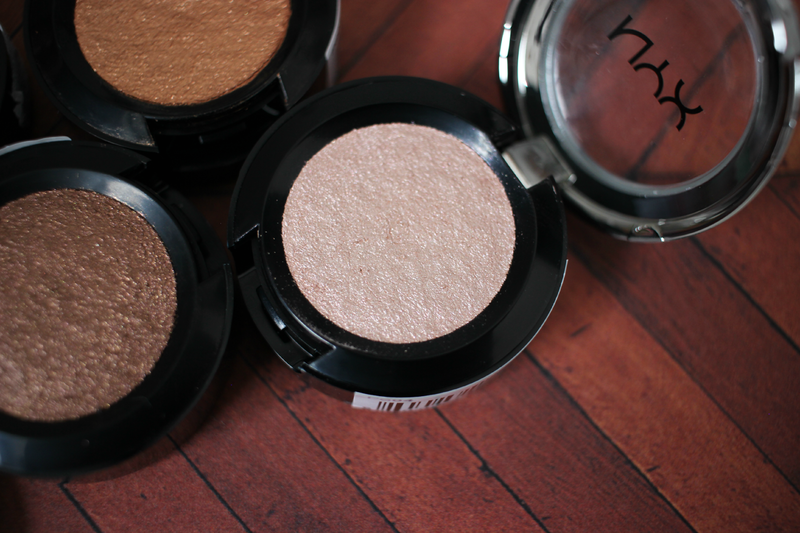 I have never used such a pigmented eye shadow before. The pigmentation is just incredible. And these babies are only $6.00 each which is such an amazing deal! 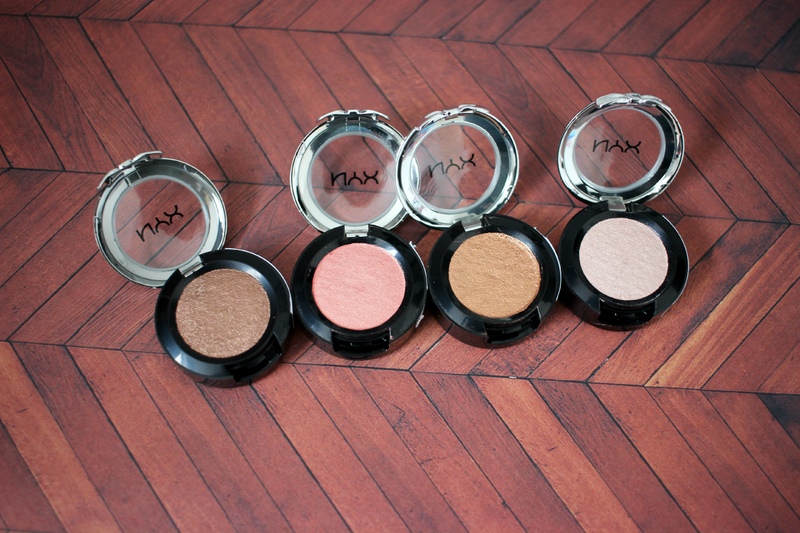 I highly recommend these shadows. I honestly can't get over how pretty those shadows are! 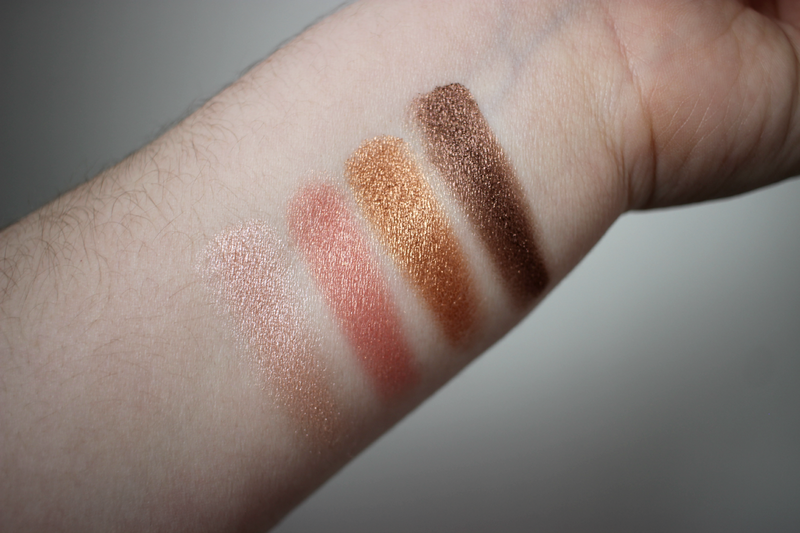 And amazing pigmentation for drugstore. Definitely stocking up when they hit the shelves here! :). Ahhh! Golden Peach is my favorite shade! 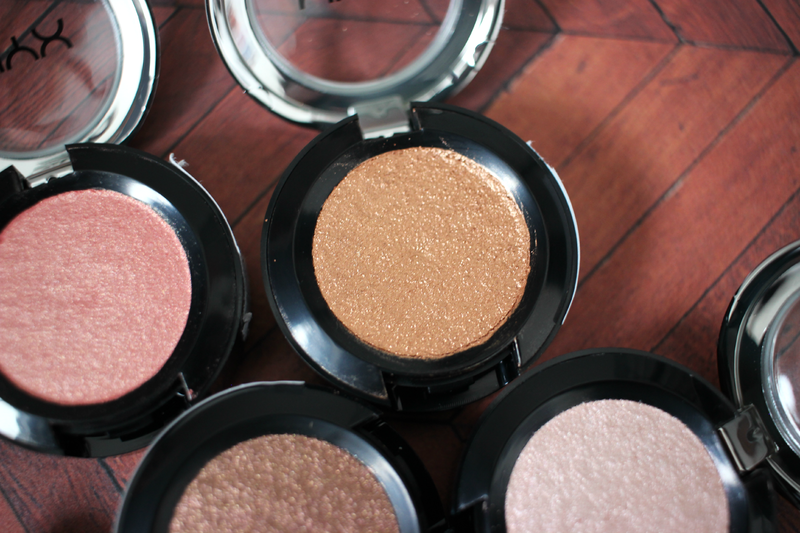 I've always had a soft spot for peachy shimmery shades! This would be perfect all over the lid or in the center! I can't wait to be able to purchase these from here in Aus so they are so so pretty!